Sensitivity to Hot and Cold After Dental Work If you’ve recently had dental work, you may experience sensitivity. Dental work can irritate the pulp inside of the tooth, causing temporary sensitivity to extremes in temperature. Pain When Biting Down This may be caused by tooth decay, a crack in the tooth, or simply a loose filling. Yet it can also come from deep damage to the tooth’s tissue. 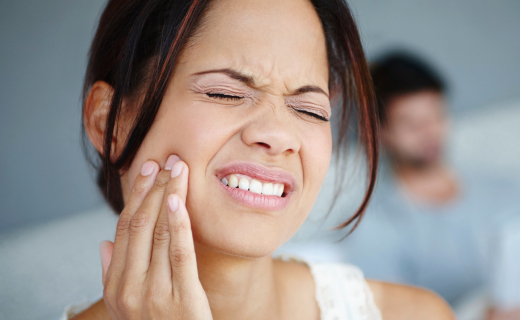 Constant Pain, Swelling, and Sensitivity When your teeth are causing this type of trouble, the problem may be an abscessed tooth that has caused an infection in the bone and tissue. Dull Discomfort and Pressure in the Jaw and Upper Teeth You may need to blame bruxism, which is the grinding of the teeth. Yet this can also be caused by a sinus headache, which is felt in the face and teeth.